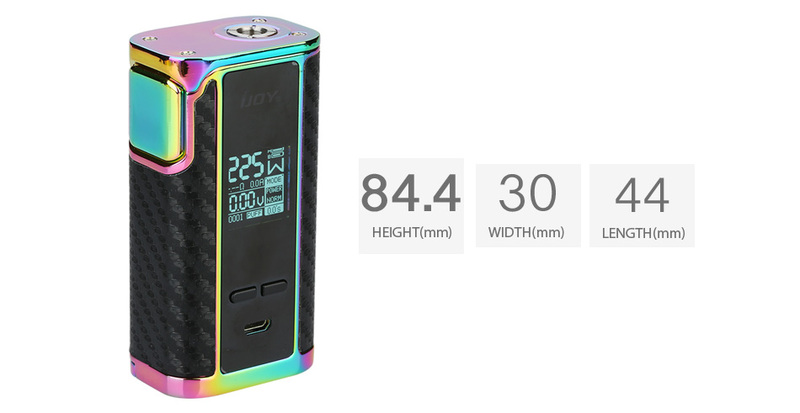 Powered by dual external 18650 batteries, the Captain PD1865 Box Mod integrates an advanced chipset with a maximum output of 225W with comprehensive temperature control mode and effective fine-tuning settings. The 0.96-inch OLED display is arranged centrally, implementing a neatly organized sections with essential readouts at a quick glance. Compact size with no overhanging with 30mm tanks, Captain PD1865 will bring you great flavor and vapor production. Black, Gun and Rainbow colors. General Functions: Press the fire button 3 times to enter into the main menu. Press the right and left regulatory buttons to switch among different functions. Press the fire button to confirm. Power Mode: In the main menu, switch to "P" setting, press right and left buttons to adjust the wattage. Temp Mode: In the main menu, switch to "T" setting, press fire button to confirm. Press right and left buttons to switch among Ni/ Ti/ SS/ M1/ M2 modes. Press fire button to confirm. 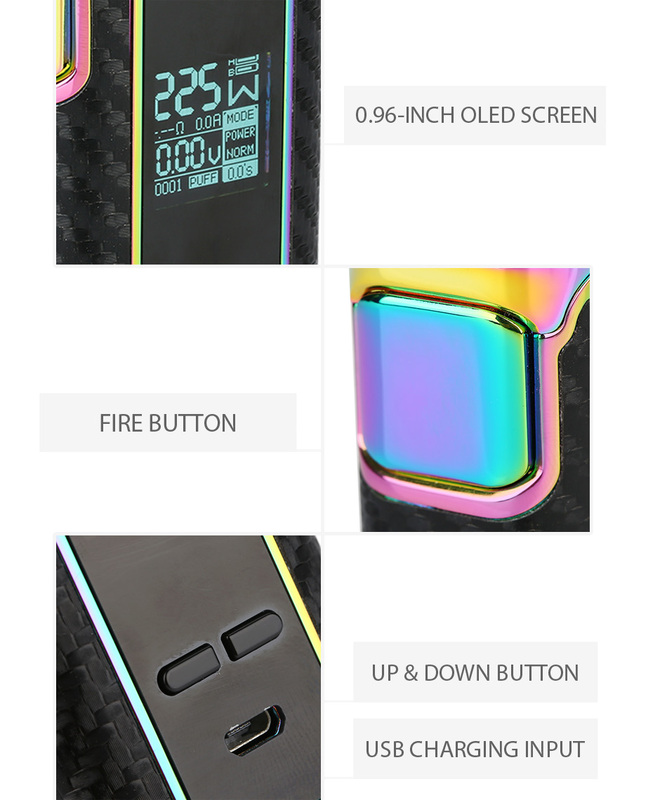 Press right button, when "W" flashing, press right and left buttons to adjust wattage. Press left button, when "℉" or "℃" flashing, press right and left buttons to adjust temperature value.